One sure sign of spring at Wellfield Gardens, in Elkhart, Indiana, is when the water is turned on for Tuck’s water feature. The figure is of Tethys, the Goddess of the Source of Fresh Water. Water overflows from her scallop shell, falling into the stream that moves through the garden. 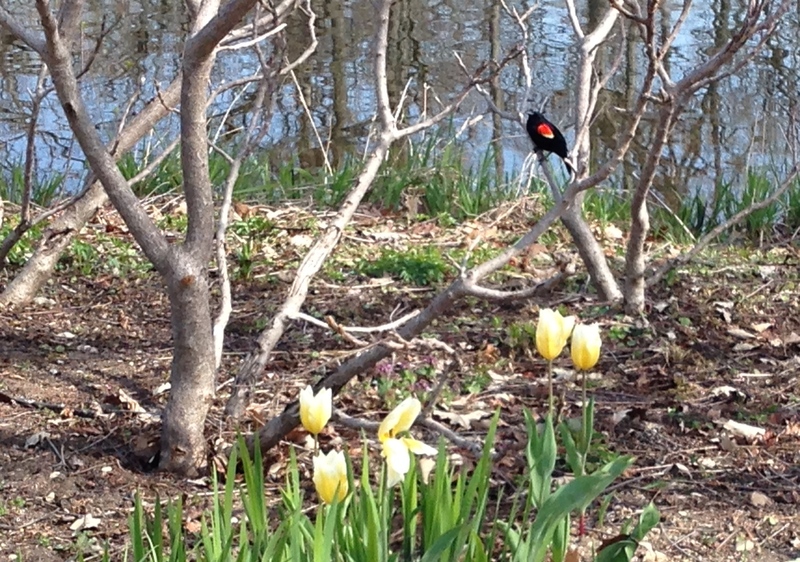 Another harbinger of spring is their lush planting of spring flowers, including the tulips by the reproduction windmills. And then there are all the birds, singing, courting, and building nests. 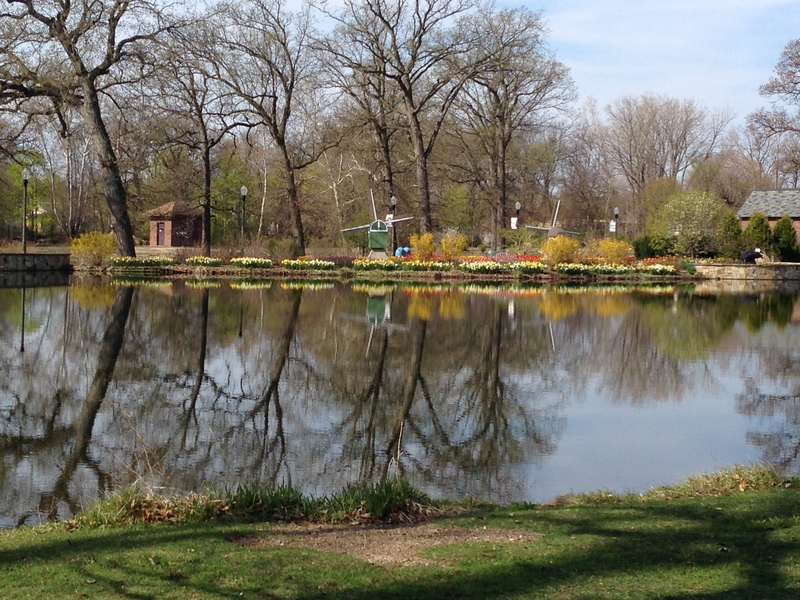 If you travel through northern Indiana, do take the one mile detour off the Indiana tollroad to visit Wellfield Gardens and the Midwest Museum of American Art. 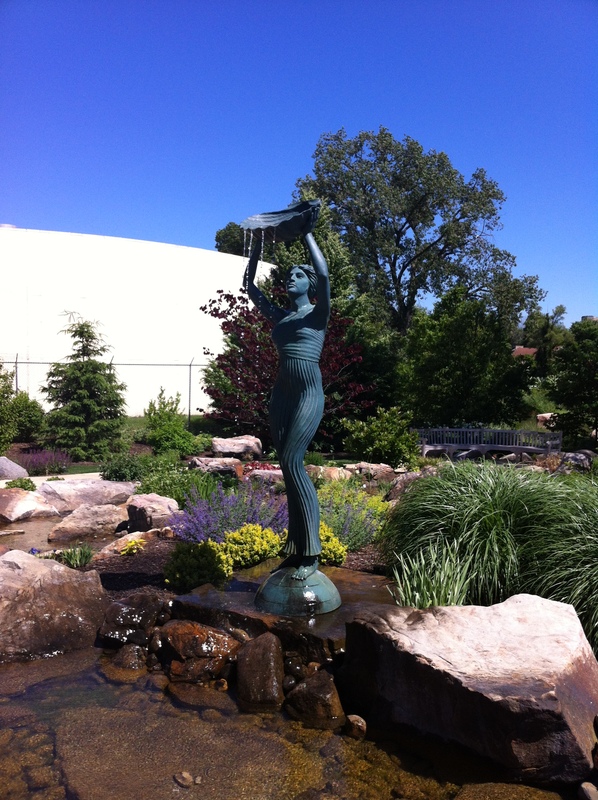 This entry was posted in Uncategorized and tagged Elkhart, figurative art, Indiana, public art, water feature, Wellfield Gardens. Bookmark the permalink.